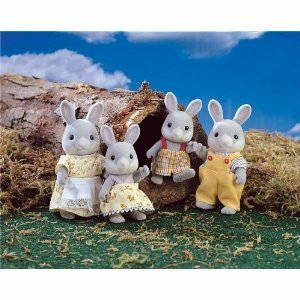 The Cottontail Rabbits Family are down-to-wearth and hardworking. They take great pride in their family and the skilled work of Father Aaron's furniture making. Brother Gromwell has the messiest bedroom in all of Cloverleaf Corners and tells his mother Sorrel he'll clean it tommorow. Sister Willow is always up to something. She loves to climb and explore the world around her.